Whether you have questions about joining a league, want to learn more about an upcoming event, or just want to contact a member of the HUB team, simply fill out the form below or give us a call. We look forward to hearing from you! Contact us to find out how we can help you get in the game! Feel free to contact Hub Sports Boston to learn about all the things we can do for you to participate in Boston’s #1 Sports League. We would love to hear from you. Hub Sports Boston offers adult Softball leagues, Soccer leagues, Flag Football Leagues, Basketball leagues, Kickball leagues and Volleyball leagues. Check out leagues in Boston, Cambridge, Bedford, Brighton, Dedham, Lexington, Charlestown, South Boston and many other Boston area locations. Hub Sports Boston also offers several unique events and tournaments through the year to serve all of your adult sports league needs. We are growing bigger and bigger everyday! Be sure to check out our About page as well and don’t hesitate to get in touch with us if you have any questions about how to join. 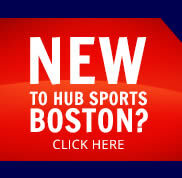 Another great way to stay in touch with Hub Sports Boston is to join our Hub Mail. Just enter in your email address below and click “Join.” Get in the Game!